Backup to virtual hard drive is a trick we really, really like. 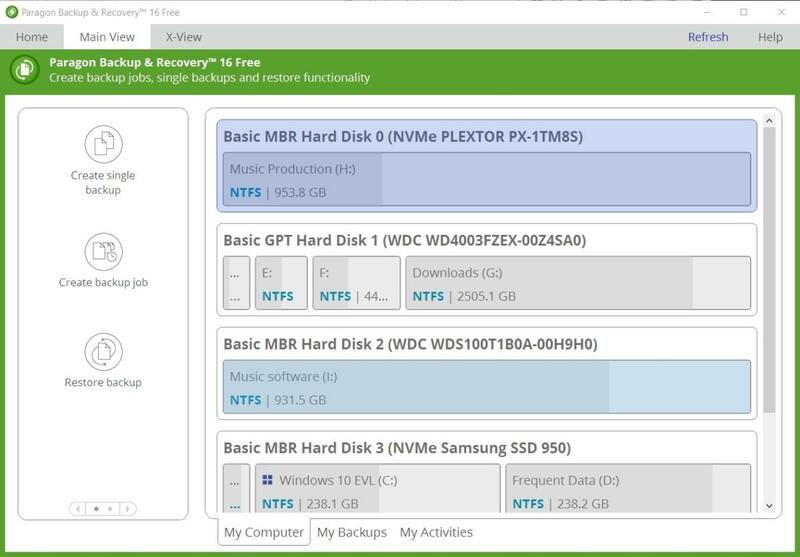 Paragon’s Backup & Recovery 16 Free Edition is not only free for home users, it’s unique among consumer programs in that it backs up using virtual hard drives as the container format. This can be Paragon’s own pVHD, VMware’s, or the VHD/VHDX supported by most flavors of Windows. What’s the big deal about virtual hard drives? Windows itself will mount VHD files, so you can grab files off of a VHD with any PC, not just a machine with Backup & Recovery installed. 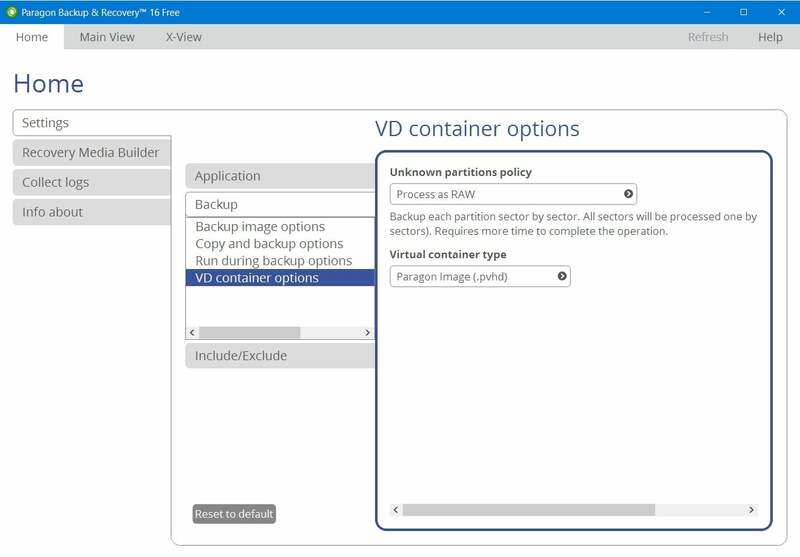 You can also attach a VHD file directly to a virtual machine and use it there. It’s convenient for users in a number of ways a proprietary format is not. Note: This review is part of our ongoing roundups of the best free backup software/services and the best Windows backup software. Go to those stories for information on competing products and buying advice. Beyond its signature VHD ability, Backup & Recovery 16 is a modernized, simplified version of Paragon’s well-established imaging technology and programs. All of the main imaging capabilities found in the company’s Hard Disk and Partition Manager are intact: imaging of entire system, whole disks, partitions, or sets of files you select. Notice the tabs at the bottom of the Window. Once you spot these, and those elsewhere, you can navigate Backup & Restore easily. It also has the same advanced Windows PE recovery media builder. The builder sports user-definable network and driver options and will create USB sticks or ISO files. Though not available in the free version, Backup & Recovery 16’s feature set is filled out with a simple file transfer utility for one-way mirroring of data. The file transfer utility also supports direct writing to optical discs for archiving—the only function in the program that does. The $40 paid version of Backup & Recovery offers granular scheduling, with complete control over the type (full/incremental/differential) and allows you to save your settings as “strategies”. With the free version, you’re stuck with the four are provided by default. They aren’t necessarily the ones we would choose, but they’ll do for free. Backup & Recovery, whether the paid or free version, doesn’t sport niceties such as cloning, a recovery boot partition, or backup via FTP or to online services. Using Backup & Recovery is simple, though it took us a few minutes to catch on to the less-obvious tabs that lead you to the various options and functions. We also aren’t quite sure why there are separate options and wizards for creating single backups and those to be run on a schedule. Normally, one-offs are taken care of by simply not creating a schedule. Overall, however, the interface is clean, well-organized, and nicely walks you through creating a backup job. Advanced functions let you choose variables such as the size at which to split the archives, the level of compression, a password, and more, but these functions aren’t available for VMware and Windows format virtual hard drives, only Paragon’s proprietary format. Our only workflow complaint is that there doesn’t seem to be a way to clone a job. Even if all you want to do is change the destination, you must recreate the job. Backup & Recovery backs up to several types of virtual hard drives. VHD types can be mounted natively under Windows. One thing we truly appreciate about Backup & Recovery is that, unlike some other programs, it doesn’t create proprietary background services (Acronis True Image installs a whopping six) that slow down your system when no backups are occurring. It uses Windows’ own perfectly adequate imaging and scheduling functions. As to performance, the program was middle-of-the-pack: not as fast as Aomei Backupper or Acronis True Image, but not particularly slow. Backup & Recovery is pretty light on the CPU usage, and it won’t bog down your system while it’s in use. 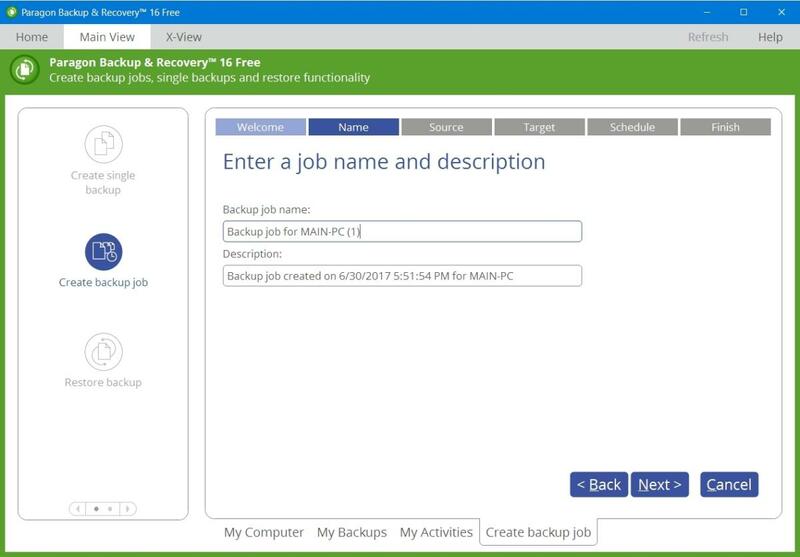 For business use, Backup & Recovery is $40, only $10 less than the company’s full Hard Drive Manager 15 suite, which adds partition management to the mix. But we like B&R’s interface a lot more. That’s a pick ‘em.